The weather wasn’t the only thing blazing hot in Johannesburg this past weekend. rAge was scorching too, with a record-breaking attendance of over 33,000 visitors. 9-11 October 2015 saw the South African gaming community converge on the TicketPro Dome for rAge 2015. The excitement was palpable as thousands of gamers, geeks, cosplayers and technology enthusiasts arrived at the venue (some of them even two hours before the doors opened). The 13th edition of this highly anticipated expo once again brought together the top names in gaming, game development, geek culture, technology and media. 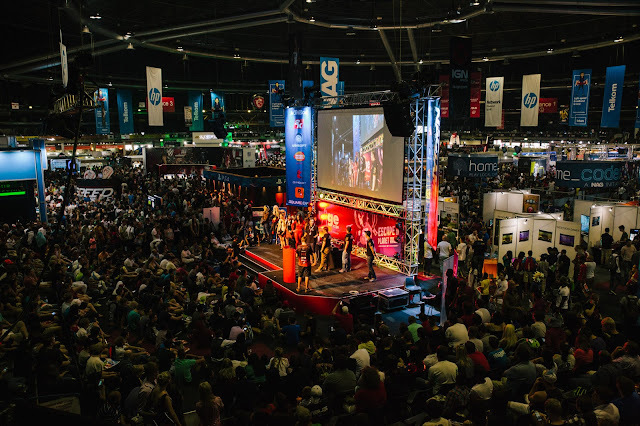 Building on its strong tradition of providing attendees with exciting, hands-on experiences with the latest innovations in gaming and technology, rAge drew an all-time high total of 33,068 visitors from all over South Africa. This is just under 6% up on last year’s attendance. “This show is a fantastic spectacle and serves as a reminder to the whole industry why we work so hard all year,” says Michael James, senior project manager at rAge. This year’s edition saw the return of crowd favourites such as Learn 3D, PlayStation, Xbox, Megarom, home_coded, LEGO, Disney, BT Games, Dark Carnival, Rectron, the Telkom DGL Championships, the Legion Ink cosplay competition and the Artist’s Alley while hundreds of industry experts and professionals contributed to the strong line-up of exhibitors. There were goodies giveaways, selfie contests and various other stuff to keep everyone engaged. The 53-hour, 2,568 player NAG LAN captured the imagination and tested the skills of its dedicated participants with the final LAN statistics reaching 143TB downloaded and 46TB uploaded – a mind-blowing 189TB in total. Internet Solutions provided the 6.5Gbps connection, representing a 25% increase from 2014. HP and Intel provided the networking equipment and servers that sewed everything together. Based on all this, Cape Town visitors will have something special to look forward to in 2016! To find out more about rAge Cape Town (18-20 March 2016) call (011) 704 2679 or email rage@nag.co.za. This year I went on the very first day on Friday and got some good deals from CNA but subsequently I found out on Sunday that it's the cheapest day (because they don't want to take it back to warehouses) for items which are available in bulk. Some items just flew from the shelves on the first day itself but overall it's a platform to buy your favourite games, consoles or anything else on the shelves too.